Join Bunny Wonderland and Rabbit Care Experts in our first ‘Bunny Care Forum’! 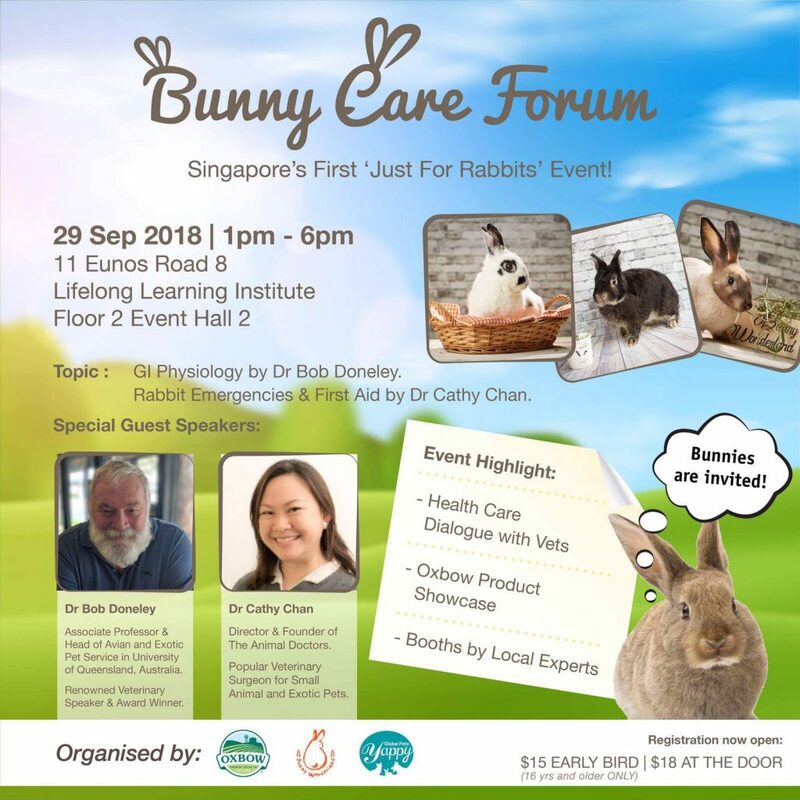 Award-winning exotic veterinarian, Dr Bob Doneley of The University of Queensland – UQ, and popular small animal surgeon, Dr Cathy Chan of The Animal Doctors, Singapore will be sharing their expertise on rabbits’ health. Our forum aim to gather Rabbit Care Experts to support our local community. In addition to Oxbow Animal Health showcase by Yappy Global Pets, House Rabbit Society Singapore (HRSS), Angie’s Pets, Beary, My Happy Tales and BYB.Board Your Bunnies will have information booths to share their love for the animals. Animal illustrator Paintinks by melt will also be there to capture your beloved pets in her paintings! How cool is that!